Sign-up using the form or call us at 585-671-9210 to take advantage of this exclusive offer. 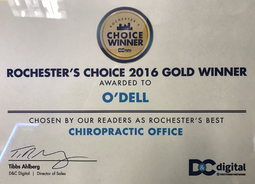 Welcome to O'Dell Family Chiropractic, where we provide chiropractic treatments tor a range of health conditions. We invite you to explore our website, learn more about our approach to chiropractic care, and learn how we can address your underlying health conditions. We believe that conventional medicine approach to pain reduction and disease maintenance does not take into consideration the function of the body as a whole. We can correct your health problems so you see what it is like for your body to work for you instead of you always working for your body. We deliver gentle, holistic solutions to put your body working properly in the shortest time frame possible, bringing about a state of true health and wellness. Chiropractic Care - First and foremost, we provide chiropractic care that helps to heal your muscular, spinal, and nervous systems. With a course of adjustments from our chiropractor, you can end pain, inflammation, and suffering and finally regain good health. Spinal Decompression - If you suffer from a herniated or budged disc, you may think that back surgery is your only option. Before you go for invasive surgery and face a long and difficult recovery, try our spinal decompression services. By using traction and chiropractic adjustments, we can heal your back pain - for good. Pain Management - Many pain problems respond to chiropractic treatment and the holistic approach of our staff. From stress-related injuries to pain resulting from accidents, we can find the root of your pain, use spinal manipulation to soothe pain, and teach you corrective exercises to prevent recurrences. Auto Accident Injury - An auto accident can leave you with chronic pain months or even years after the impact of the crash. If you have been in an auto accident, we encourage you to visit us right away. We can provide adjustments that treat pain, realign the spine, reduce inflammation, and restore mobility and strength to damaged muscles. The sooner after the accident you can visit us, the faster you can heal. Work Injury - Workplace injuries such as back pain or carpal tunnel syndrome respond well to chiropractic care. We can use spinal manipulation to release pressure from the joints, break apart scar tissue for thorough healing, and realign the spine for improved energy and optimal health. X-Rays - X-Rays - We take any medically necessary before and after x-rays with our patients, which allow you to see the results of our treatment! Before and after x-rays give you the peace of mind to know that not only are you feeling great, you are also working great. This allows you to get back to doing what you love without always worrying about a relapse. "You've Got the Power, we can help you live to your Potential"
You The Answer To Your Disc Pain? 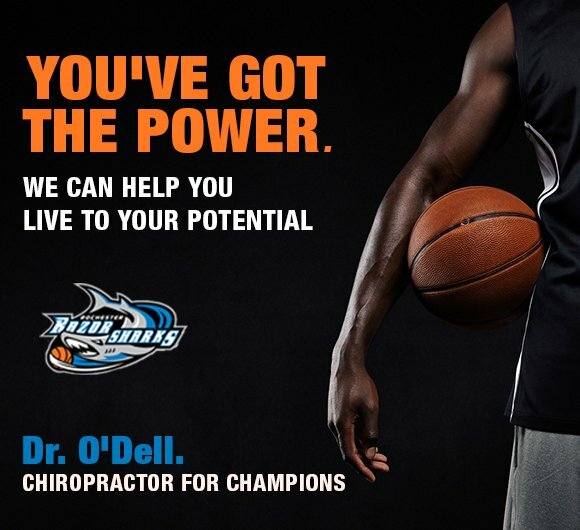 Dr. Norman O'Dell has been a licensed Chiropractor since 1991 and he is known as the 'Chiropractor for the Champions'. He has been freeing people from pain since 1991 in his clinic in Webster and Rochester - Henrietta and Brighton areas in New York. 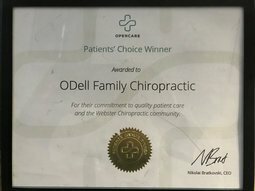 "Wonderful family oriented chiropractic office. They focus on what your goal is to "get straight". I work in healthcare and have had back issues on and off. My goal was to be able to play and lift my granddaughter and still work. I have been wonderfully successful at both. They also offer massage on site and nutritional supplements as a service. They deliver the whole holistic package! Thank you Dr O'dell, Dr. Scott, Dr. Laura. Happy Holidays." 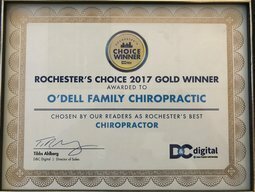 "I feel absolutely wonderful after just a few weeks going to O'Dell Family Chiropractic. I sit and stand so much straighter. After all these years walking with this bad knee, I finally feel so much straighter and just wonderful. I am so very pleased..."